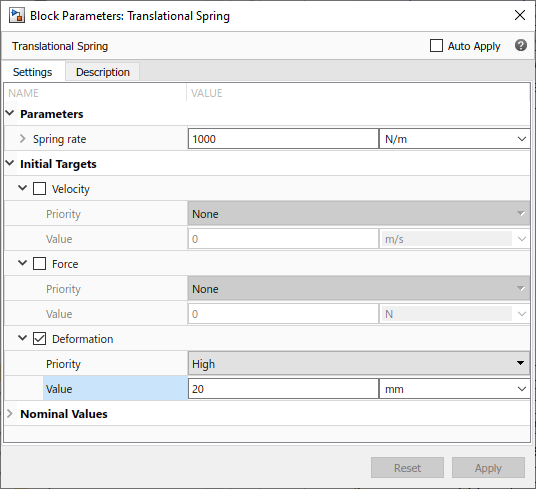 For details on these variables and their usage in the block equations, click the Source code link in the block dialog box to view the underlying Simscape™ source file. The Source code link is available for all the Foundation library blocks that have a Variables tab. Blocks from the add-on products, like Simscape Electrical™ or Simscape Fluids™, do not have a Source code link in the block dialog box. 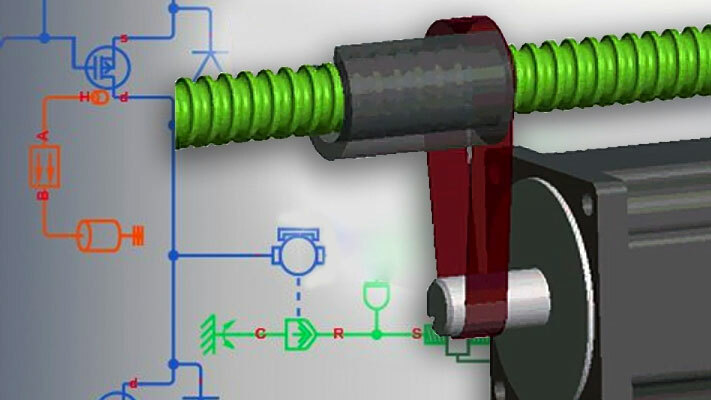 See the block reference page for information on relevant equations and specific initialization considerations. 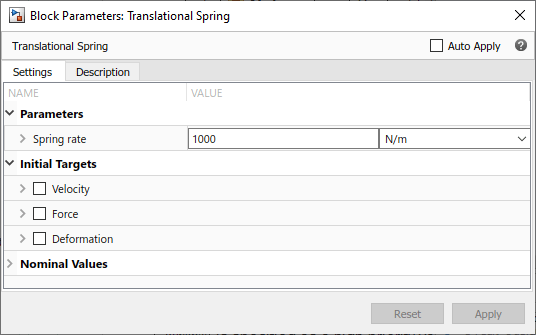 To specify the initial deformation of the spring, select the Override check box next to the Deformation variable, to indicate that you are overriding the default values. Select the initialization priority for the variable, by setting its Priority drop-down to High, Low, or None. Type a new number into the Beginning Value field and change the unit, if desired. The Unit drop-down lists contains all the units defined in the unit registry that are commensurate with the one specified in the variable declaration. In the following dialog box, Deformation is specified as a high-priority variable with the initial target of 20 mm. If you clear the Override check box next to a variable name, its Priority, Beginning Value, and Unit fields switch back to defaults specified in the component file. However, if you select the check box again, these fields will retain their last specified value for when they were overridden.